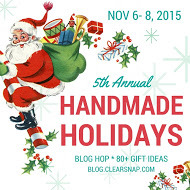 Hi everyone, welcome to the Handmade Holidays Blog Hop. I've been involved in this hop for the last several years and I am excited to be participating again. Check out this list of sponsors. My project is a tote which I've filled with candles for a friend. I'm using a Walnut Hollow tote which I painted with Deco Art gold paint inside and out. 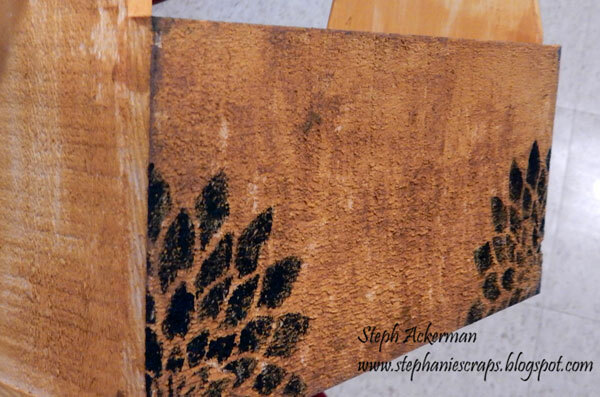 I love the rugged texture so I wanted to emphasize it. 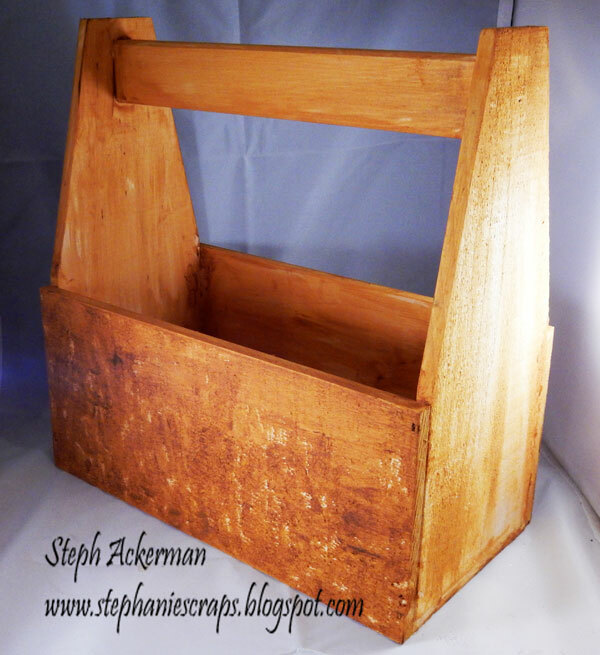 Next I aged the tote a bit by inking randomly over the paint with ColorBox Crafter's Ink in Stone. I used ColorBox Crafter's Ink by Ann Butler in Deep Woods with the ColorBox Bloom Artscreen in the corners. I wanted to add assorted candles for the recipient so I decorated them first. I added flowers to the top of the smaller jar, then wrapped ribbon around the lid. 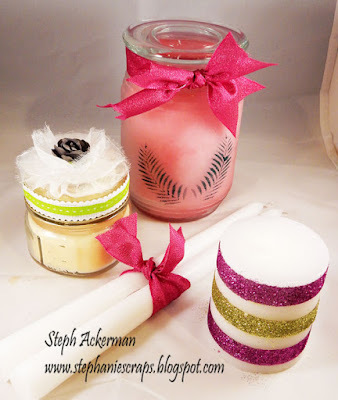 The tapers were tied with ribbon and the white candle was rolled in 2 colors of ColorBox Glitter for a fun striped effect. 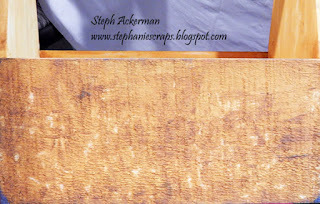 The largest candle jar was etched with Etchall dip 'n etch. 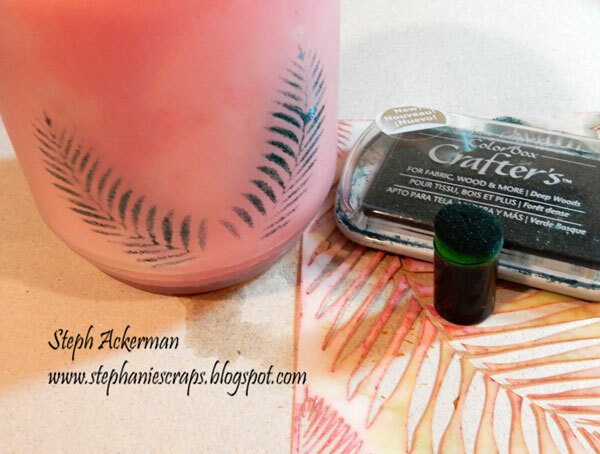 Then I used the ColorBox Tropical Artscreen with Deep Woods Crafter's Ink on the jar. Dip 'n etch provides a tooth by which inks and other products adhere to glass. It creates a really nice texture to work on. And the candles fit nicely inside the tote. Great gift idea. Thanks for sharing! Es un proyecto fácil de hacer y muy vistoso para las vela. Gracias por la inspiración. This is a gift I would love to receive. I would be happy to receive a gift like this. Well done. 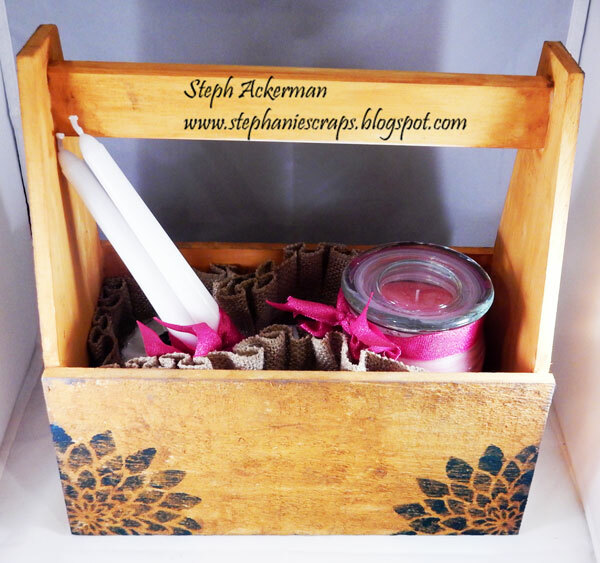 PRETTY candles and tote, a WONDERFUL gift!!! What a smart and pretty idea, which anyone would like to receive. What a great gift! Love how you finished the tote. How fun, Thanks for sharing and the chance to win a great prize! Very nice. I'm sure your friends will really enjoy it. This is really cool. Thanks so much for sharing! So cute. You could keep this as an emergency kit for when the electricity goes out. 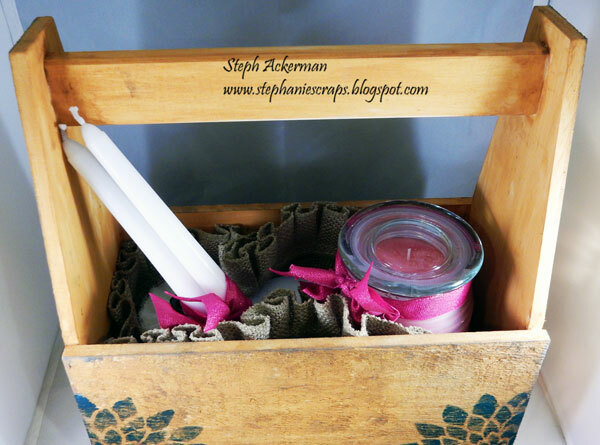 Wonderful box, I like the candles. Thanks for sharing. Love this beautiful box with full of candles! Thanks for sharing! Definitely an awesome idea! I have wanted to get one of these totes for a while now and have just placed my order for a couple of them!! TFS! Love the rustic tote and candles. Amazing creation! Thank you for this amazing giveaway!!! !